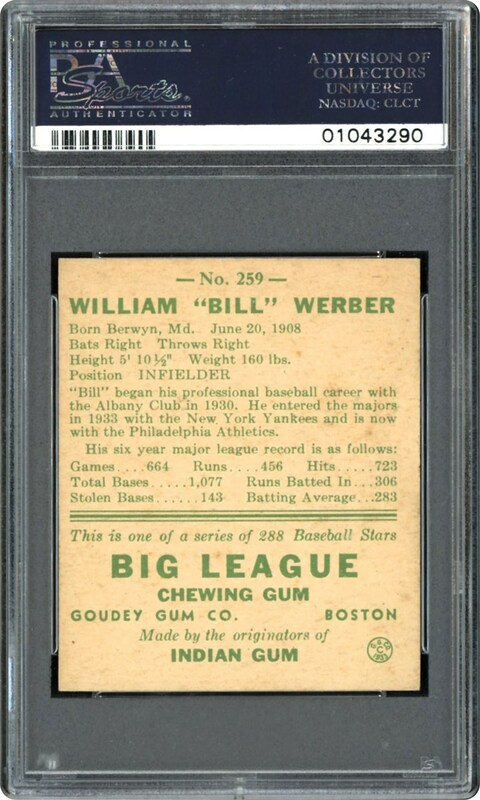 Presented here is an outstanding 1938 Goudey PSA NM/MT 8 cardboard gem of one of Connie Mack's trusted infielders Bill Werber. One of only six specimens at this ultra-high plateau, only a single copy has managed to exceed its hallowed assessment. 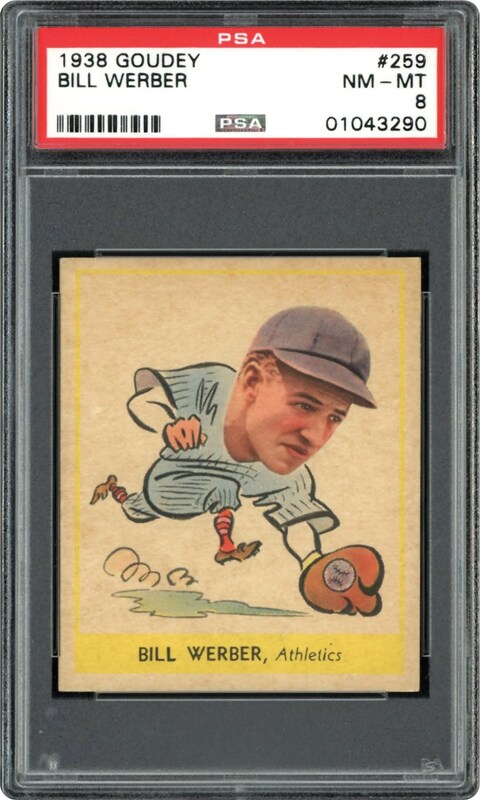 The Werber fielding pose reveals no ill effects over the past 80 years, with the extremely well-centered image and razor-sharp corners additional superlatives supporting this "scarce for the grade" cardboard treasure that has only been bested by a sole example!